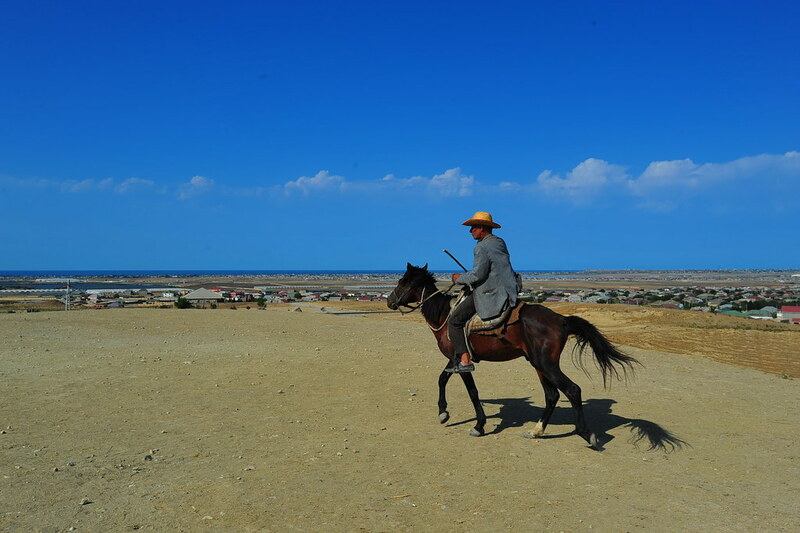 After a late morning checking out Gobustan National Park, its petroglyphs and mud volcanoes south of Baku, we drove up north of Baku to explore more of the land of fire. 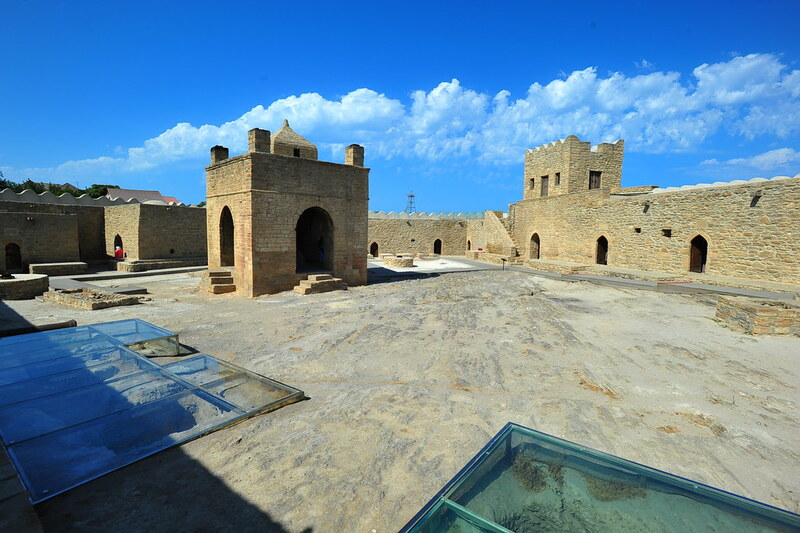 The Ateşgah Fire Temple was our first stop. 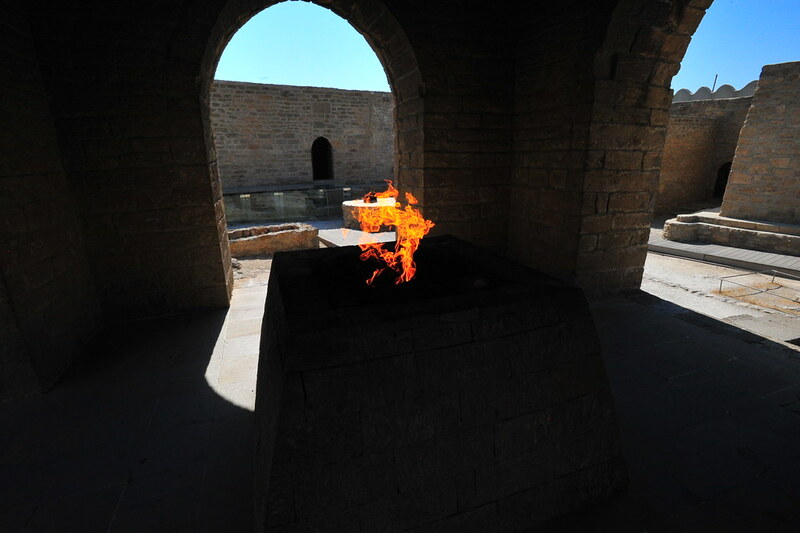 Built in the 18th century by numerous Indian worshippers of Shiva who traveled along The Silk Road, it stands on the site of a natural gas vent, allowing for gas craters to burn these “eternal flames.” Naturally, these flames would become sacred to the Zoroastrians who would come after the Shiva devotees. 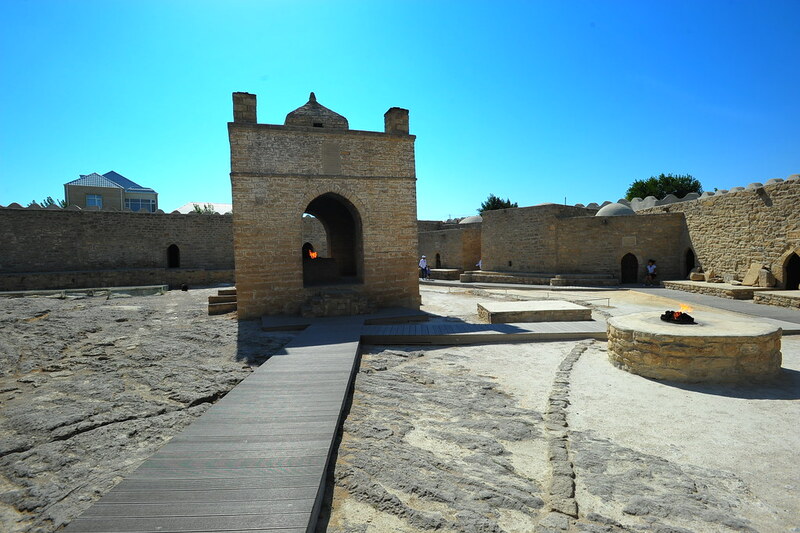 In the temple’s center is an “eternal flame” on a stone hearth surrounded by four stone side columns that reportedly spit out dragon breath. 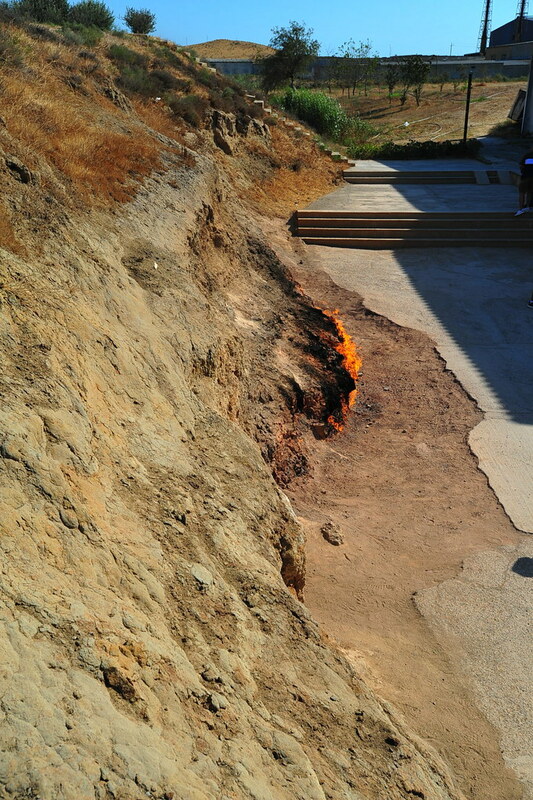 Unfortunately, the original natural gas vent has long been exhausted by the oil industry that would exploit the region during the 19th and 20th centuries, so today the flame derives instead from Baku’s main gas supply. 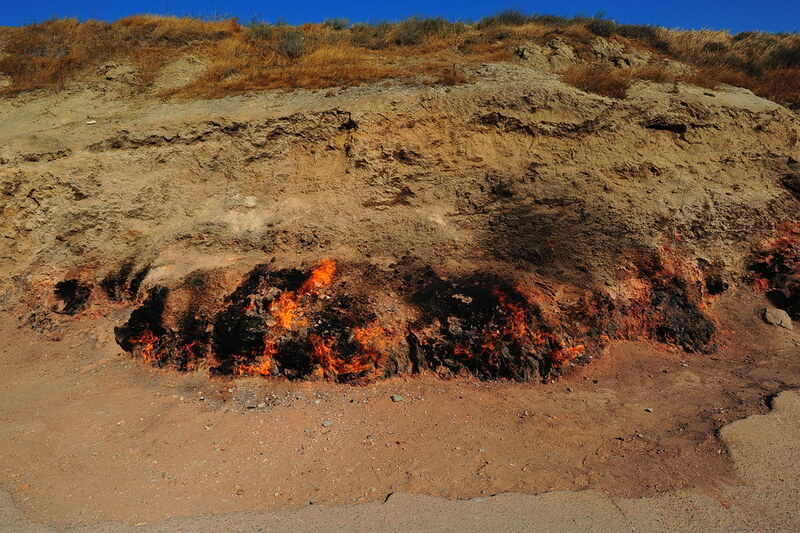 These natural fires of Azerbaijan are considered to have played a crucial part in the formation of Zoroastrianism, and of the natural fires that burn today in Azerbaijan, Yanar Dağ is the largest: It is a 10m long wall of fire that never extinguishes and understandably the most spectacular at night. Local lore states that a shepherd accidentally ignited the fire in the 1950s by tossing a cigarette, and that it has burnt ever since. Just sayin’…So if you’re into this sort of thing, you have other options! Anyways, from here you can then head up on the hill over the flames, but there’s nothing really to see unless you want to go horseback riding. 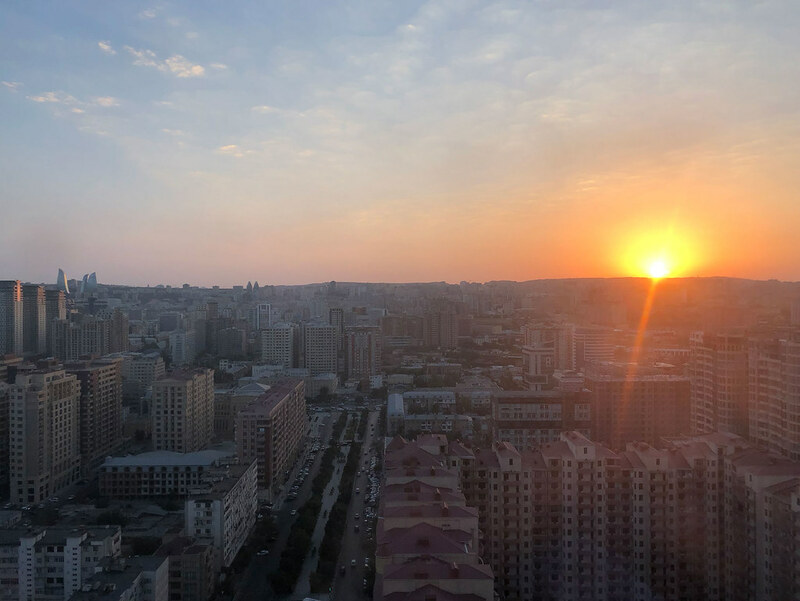 After 20 minutes here Fuad then drove us back to Baku and at our request, dropped us off at Gate 25, a swanky rooftop shisha/tea lounge and restaurant. Thanks for the recommendation Fuad and an amazing tour! This is the life. 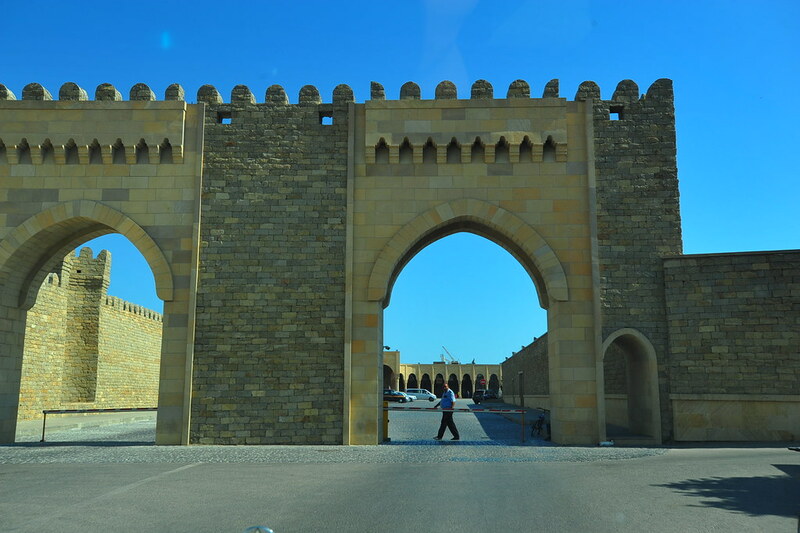 Tomorrow we get up early and fly to the unrecognized country/territory of Nakhchivan!